as children, my brother + i were lucky that our parents took us out to lots of different restaurants, exposing us to all sorts of foods. cleverly, i foiled their attempts to get me to try new + exciting foods, wanting only one thing whenever we dined out: fettuccine alfredo. i mean, it’s a kid’s perfect meal: pasta, butter, + cheese. who can blame me for ordering it every single time we were at a restaurant? as an adult, my tastes have changed + i’m much more adventurous at restaurants than i was as a kiddo. however, i still have a love for good ol’ fettuccine alfredo. so, the other night, i decided to whip up a healthier version at home. how was it? oh my goodness, heavenly! while i won’t go so far as to call this “diet food,” it is a significantly lower-calorie, lower-fat version, with about 500 calories + 15 grams of fat per generous serving. the best part? it certainly doesn’t taste healthified, as it still has all the delightful cheesy, creamy goodness that we love about fettuccine alfredo. so, if you’re looking for a healthier twist on a favorite comfort food, look no further – this recipe is fantastic! make the sauce: melt the butter in a skillet over medium heat. add the garlic + lemon zest + cook until the garlic is slightly soft, about 1 minute. add in the flour and cook, stirring with a wooden spoon, 1 minute. whisk in the milk + 1 teaspoon salt + cook, whisking constantly, until just thickened, about 3 minutes. add the cream cheese or neufchatel + parmesan cheese; whisk until melted, about 1 minute. stir in the chopped parsley (optional – i like to just sprinkle my parsley on top, instead). taste + add salt/pepper to taste. meanwhile, bring a large pot of salted water to a boil. add the fettuccine + cook until al dente, according to package directions. reserve 1 cup cooking water, then drain the pasta + return to the pot. add the sauce + 1/2 cup of the reserved cooking water to the pasta + gently toss to combine, adding more cooking water if needed to loosen + achieve your desired thickness. season with additional salt + pepper to taste, if needed. divide among bowls + top with more parmesan to taste. okay…you read my mind. There I was just the other day thinking how much I wanted fettuccine alfredo but didn’t want to splurge. Along comes Amy to the rescue!!! I can’t wait to try this lightened up version. I know it will be good because it is from you. I love that you were able to lighten this up -I try to stay away from alfredo even though I love it because its so fattening – I may need to give your recipe a try. Your pics are great! We were on a cruise a couple of years ago, and my then-13-year old had fettuccine alfredo at every second meal. Your lightened up version looks great, and I can’t wait to try it! Fettuccini alfredo was the only thing I ordered too whenever we went to olive garden! I haven’t made this in ages and now I’m totally craving it! I love that it’s lightened up too! This may just be my dinner tonight – I’ve been eating cereal and muffins for this entire week! Love how rich and creamy this looks and yet it isn’t! so delicious. I think I had the opposite childhood from you! I didn’t even have Alfredo until I was 17. Then I became obsessed with trying new foods because all I ever had was defrosted frozen entrees. I am always looking for a lighter version…i love alfredo but rarely eat it because it’s so bad for you. i love this amy! I loooooooove this! 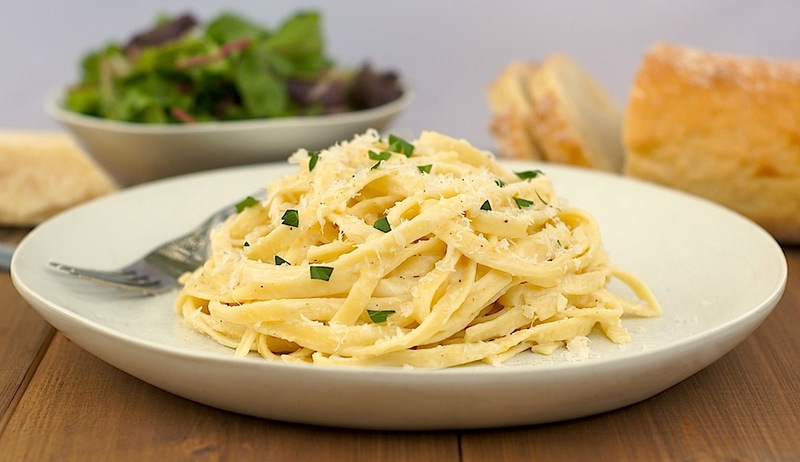 Fettucini alfredo is one of my faves, but it is really rich and fattening, so this is great. And I am loving your pics recently! Good work!!! I LOVE FETTUCCINE ALFREDO — but the calories often gave me a run for my appetite. oooo…I can’t wait to to try this…we love alfredo but don’t like always having all that cream and cream and more cream lol – thanks for sharing. I could eat this every night – beautifully done, Amy! Hope you’re having fun in Chicago! It is so unfair how many calories and fat grams this classic dish has! But I will say I am going to try this one as the full fat version is over 1300 cal and 25 grams of fat! Way to go on lightening this up!! As a kid, I always ordered fettuccine alfredo too. I can’t recall that I have ever made it for myself as an adult, so now I have no excuse not to try it out. Gorgeous photos by the way! I had fettuccine alfredo for the first time this year and it was a lightened version. I love it so I’m sure I’d love this! I do wonder what it’s “supposed” to taste like, though. I guess just heavier. And I had the same deal with restaurants except I was the chicken tender girl. Still am and always will be! Ooooh, yum! I’m excited to try this and compare to the lighter version I found from Cook’s Illustrated a few months ago. It’s one of the meals in our regular rotation these days, always so cheesy and comforting! Ooh, i’ll have to look up the Cook’s Illustrated version + give it a try, too! Hi, Amy! Did you just say this lightened version has 500 calories??? I wonder how much the original one has! Thank god for this lower-fat version, because I still need to lose my baby weight! 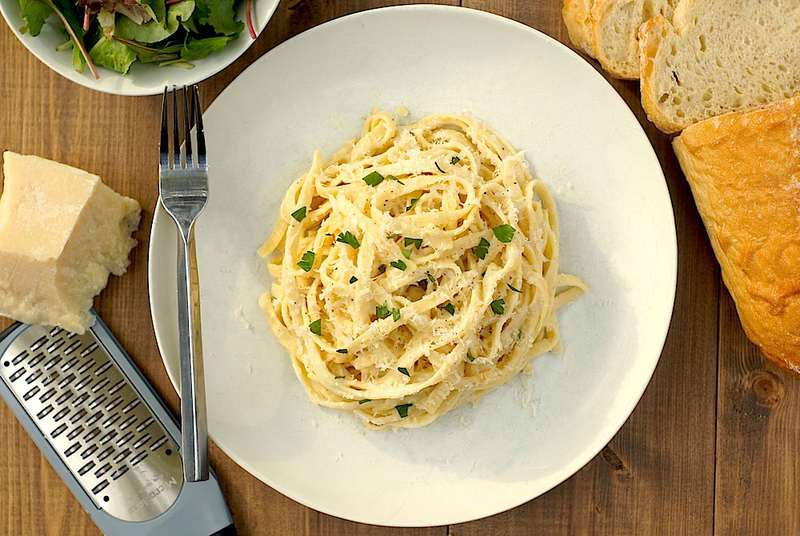 traditional fettuccine alfredo can have upwards of 1200+ calories per serving. EEK, right?! I think fettuccine alfredo is one of those meals everyone love. Yours not only looks mouthwatering but also sounds amazing. Great recipe! I’m thinking you made this alfredo for me, no?? I’ve had a lightened up version before that was only so-so. 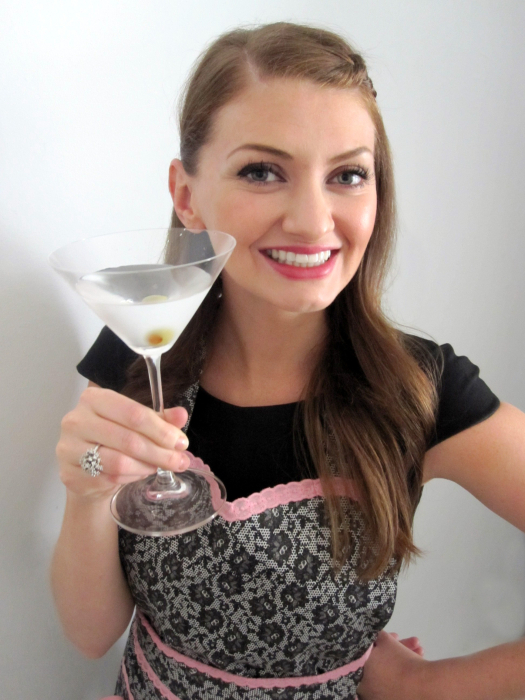 I didn’t make it, but now I think I need to try your version because it just sounds and LOOKS so much better Amy! I love this lightened up version, Amy! Fettuccine alfredo is a favorite! I love fettuccine but always feel so guilty eating it! Now thanks to you that wont be a problem. I cant wait to make this! Wow this looks good! I love fettuccine alfredo, too. It’s such a great comfort food! I love alfredo sauce on any pasta! This version looks wonderful with the cream cheese. Yummy! Simple and to the point….delish to be sure. ooh, i’ll have to look up that recipe, too! Amy, i love trying out new pasta recipes, and it’s even better if they are low fat! I am pinning this and I can’t wait to try it. Might be as soon as tomorrow! Pasta is so versatile and the sauce combinations are virtually limitless. Pasta is probably the ONE food I could never give up. I have a love affair with it. I don’t know but… I can’t think of a pasta dish I’d rather have than this one! It’s AMAZING! But aww. That amazing will be lower case, won’t it? Anyway, the husband just told me I should open an Italian restaurant. Based off of this recipe. Haha. And he’s told me several times today how much he liked it. So. Yeah. It’s a winner! And me? I love it as well! Oh and I cheated and used garlic powder. I was too lazy for real garlic.